Leona Fietz is an artist, letterer and designer from Brisbane, Australia. You can find her online at www.leonafietz.com.au and on instagram @leonafietz. 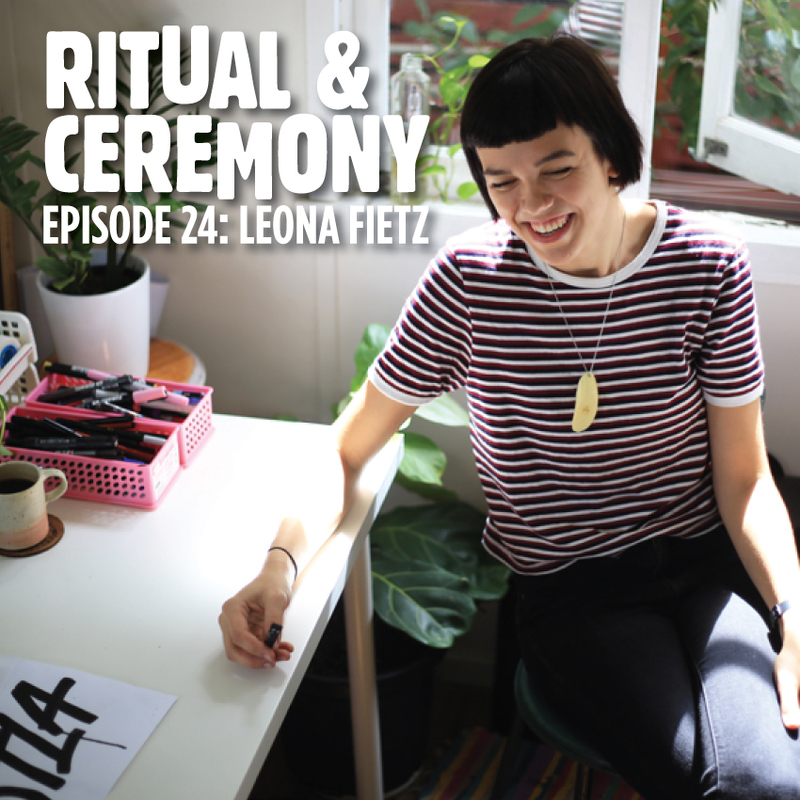 This episode of Ritual & Ceremony is sponsored by the excellent crew at RULER W.U.R.C. from Melbourne, Australia. They release quality content and products varying from clothing, music, art and photography, Ruler W.U.R.C focus on bringing together creatives alike not only nation wide but from across the globe. Go give them a look http://bit.ly/rulerwurc and if you make an order and use the code 'Ritual&Ceremony' for 25% off!